Last year was not great for the recently relocated Los Angeles Rams. 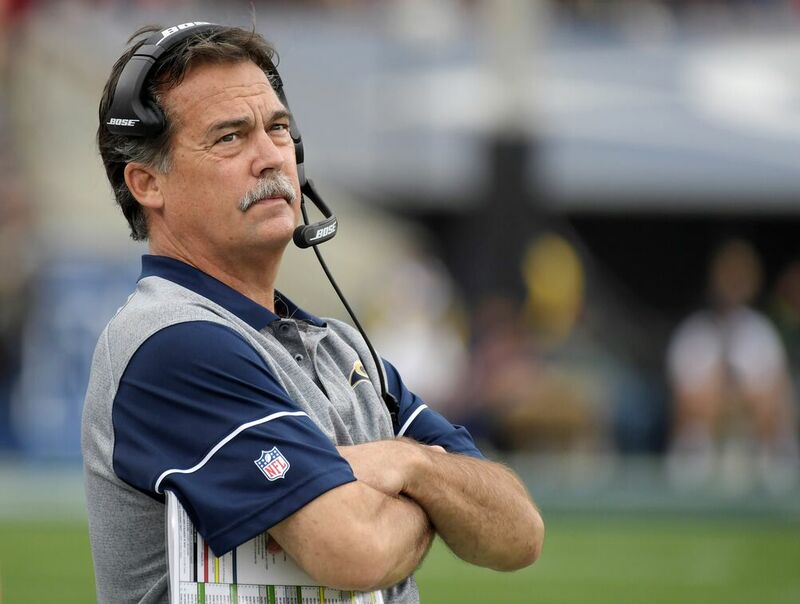 Here is a video of former head coach Jeff Fisher telling his staff he’s been fired. While the football organization was California Dreamin’, 2016 was a disastrous year for the recently relocated Los Angeles Rams. After 20 years in St. Louis, the Rams returned Los Angeles with the hopes of re-establishing themselves as a major football brand. It would also be the end of the Jeff Fisher era of Rams football. Fisher had been the head coach of the Rams since the 2012 season. Before that, he was the long-time head coach of the Houston Oilers/Tennessee Titans in the AFC. The move to Los Angeles brought a lot of unwanted attention to the football team. They were on HBO’s Hard Knocks and will be featured on Amazon Prime’s All or Nothing this summer. On Thursday, Amazon released a clip from their upcoming series about the 2016 Rams. It happened to be an awkward meeting between Fisher and his staff after he had been informed by the organization that he had been let go as head coach. The Rams were 4-9 at the time of Fisher’s dismissal. Giving up 42 points to the eventual NFC-champion Atlanta Falcons at home was enough for ownership to pull the plug on Fisher. Apparently the Rams organization was done with the same old 7-9 BS, as that was the best record Fisher could have attained had he been on board with the team for the rest of the year. Taking over for Fisher was special teams coordinator John Fassel. Of all the coaches in the meeting room, Fassel took the news the hardest. He immediately leaned back into his chair and went full surrender cobra. Not even Fisher’s son Brandon Fisher, the team’s secondary coach, took the news of his father’s dismissal that way. Fassel would lead the Rams to an 0-3 end to their season with losses to all three NFC West division rivals. While Amazon marvelously captured the shocking moment for the Rams coaches, they had to know that the end was near for Fisher in Los Angeles before the Falcons ran them out of their own building sans Julio Jones.